Thirty-seven of the 42 tribal communities among the Maasai in Kenya still practice Female Genital Mutilation. The preferential age for the procedure used to be 15 – now it’s done to 11-year-olds. 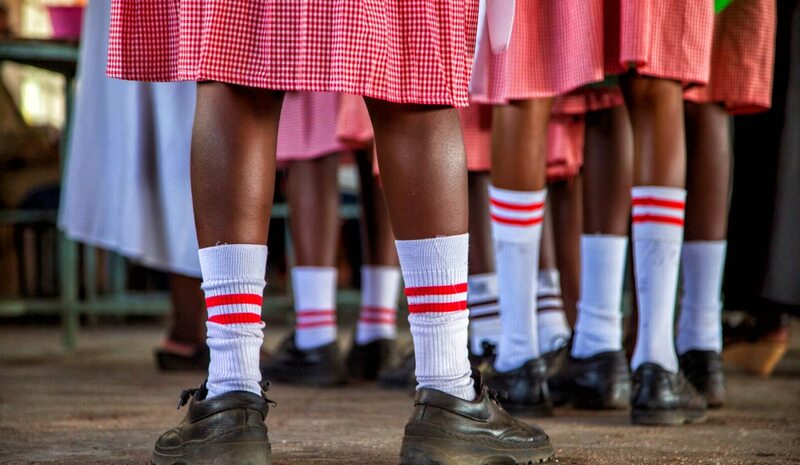 Despite a ban on it in 2011, more than 500 girls in Narok County drop out of school every year because of Female Genital Mutilation and early marriage. By ASHLEIGH HAMILTON. In remote rural areas of the Rift Valley – in the dark of the night, behind closed doors – whispering cutters and elders mutilate young girls and marry them off before they have even hit their teens. The procedure they undergo is traumatic, frightening and life threatening, and if it is not performed, girls are considered impure. The “extra women bits” are considered dirty and responsible for any promiscuity that may cause the young girls to cheat on their new, older, polygamous husbands. Circumcision is believed to ensure the young girls never stray and that their sexual urge has been reduced and their “bad” blood “purified”. How does one stop an excruciating and chilling traditional practice entrenched in the custom and belief of elders and traditional leaders? Just one, young, educated girl at a time. Female Genital Mutilation is a cultural tradition that involves altering or mutilating the female genitalia for “hygienic” or aesthetic reasons and is recognised as a human rights violation. The 2011 ban made the practice and capture of young girls for Female Genital Mutilation (FGM) in Kenya illegal, but it is still widespread even though research indicates a 20% drop in the practice. Her family has decided against the tradition and so she has made it her place to advocate against it for her peers and fellow Maasai teens. She writes poetry denouncing the practice as abusive. Benedictor realises she has the freedom to make the choice against Female Genital Mutilation. In 1997, Patrick Ngigi was often approached by young girls asking for help. They were to be circumcised over the school holidays and then married off to older men their families had selected for them in exchange for a dowry. Their worth was determined by the cows or cash bartered for them. It was not uncommon for Ngigi to hear that girls of 11 or 12 were being cut in a rite of passage ceremony, removing their genitalia in order to make them acceptable as women. The husband selected was sometimes 40, 50 or even 60 years old. Ngigi left the teaching profession to establish a safe house and rescue centre. Young girls who escape Female Genital Mutilation and arranged childhood marriage either run away or escape into the unknown to save themselves from circumcision. Even with the Kenyan ban on Female Genital Mutilation firmly in place, Ngigi has been working for 19 years to change the culture. He is still taking girls in every week. His House of Hope in Narok County provides continued education and boarding to girls. He is driven by the memories he has of meeting young girls in Class Four (nine or 10 years of age) who will never have the opportunity to get beyond that grade. Abigael is a rescue girl at House of Hope. She boards at a remote school to continue her studies. She dreams of becoming a pilot. Young girls think they cannot say no. “They don’t know that they can go to the police and say ‘we don’t want it done to us’. And they don’t know that they can fight it. The main reason why they are doing it so young is because the girls don’t have the knowledge to say no,” says Ngigi. Ngigi’s house has grown from accommodating 12 girls in 2004 to hosting 72 girls at a time, most of whom will never be able to return to their villages lest they be circumcised upon their return. When death is a possibility, the unknown becomes attractive. “When they do those cuttings – like with a knife and razor – they circumcise those young girls and they may bleed a lot and when they cut that place, when they circumcise young girls, they may die.” Other girls in Abigael’s village had told her what she could expect in a rite of passage ceremony; a ceremony that is meant to mark her transition from childhood to adulthood. In remote Maasailand, the rate of Female Genital Mutilation is endemic. Only one in 100 are believed to avoid it, cast out from their communities if they’re not “cut”. So many go through it to be accepted by their peers. The abandonment of Female Genital Mutilation may be written into law but it is hard to enforce when teachers have no right to interfere with culture and local government lacks advocacy. But girls in Kenya are increasingly saying they want careers. It is slow, yet progressive. “I’m advising my fellow girls that they don’t have to be circumcised and forced (into) young marriage. I’m advising them to get education because when you are educated your future holds a good life,” says Abigael. Educated girls become empowered young women; they are Africa’s biggest untapped resource. Feb 6, 2017 was FGM Zero Tolerance Day. It marks the beginning of committed awareness and sensitisation towards abandonment of FGM practice. This story was made possible by the United Nations Population Fund in acknowledgment of the International Day against FGM Zero Tolerance Day. UNFPA funds and facilitates training and seminars through World Vision in Kenya to help change beliefs and educate men, women and children against the harmful effects of Female Genital Mutilation; a violation of human rights.